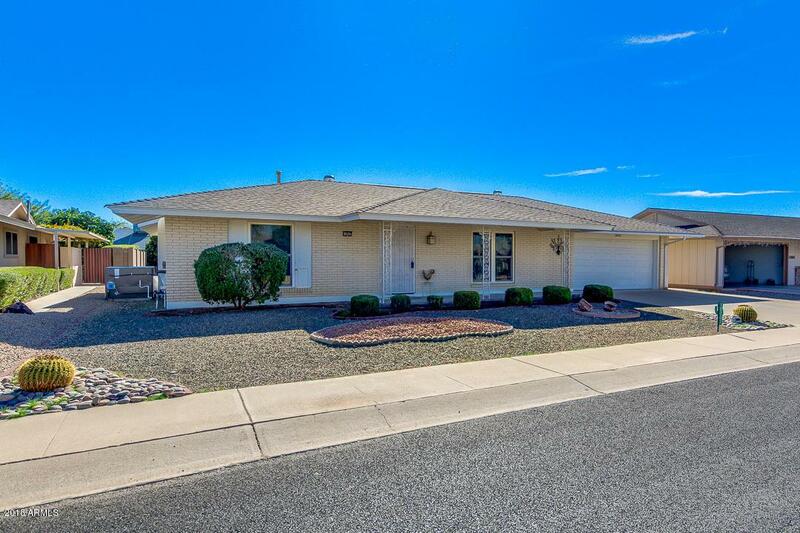 WONDERFUL SHASTA MODEL, 2 BR/1.75 BA WITH UPDATED KITCHEN AND BATHS. NEW LENNOX HVAC IN 2018. GAS HEAT. TWO CAR GARAGE with a large WORKSHOP/UTILITY ROOM. 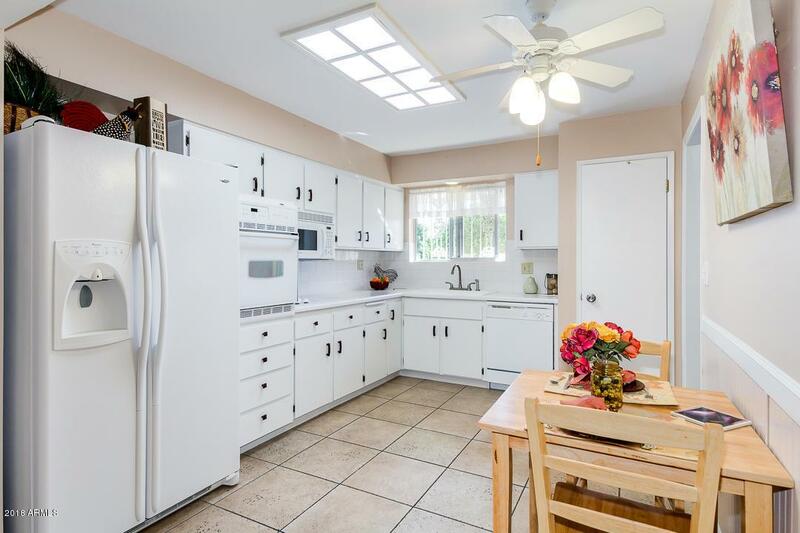 Home is in a GREAT LOCATION, CLOSE TO RECREATION CENTERS. THIS LOVELY HOME FEATURES TILE FLOORS except BRAND NEW UPGRADED CARPET IN SECOND BEDROOM, NEWER ROOF, 2017 GAS WATER HEATER. 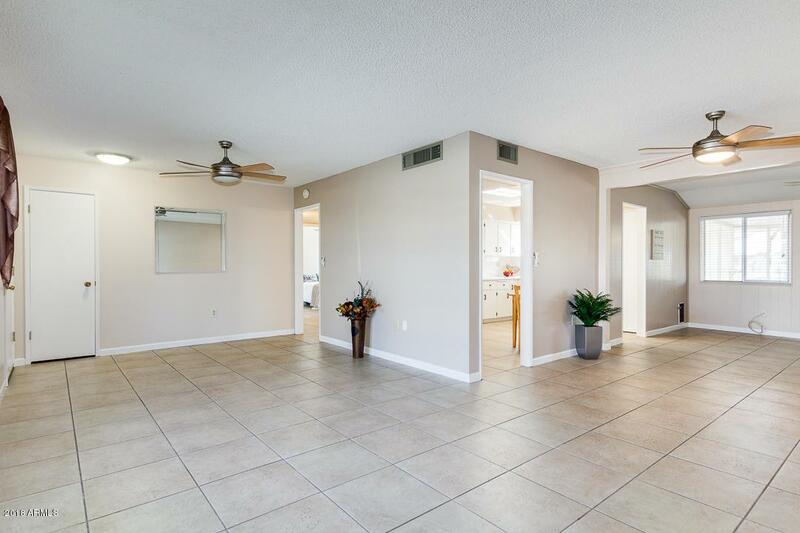 UPDATED VANITY IN MASTER BATH, PEDESTAL SINK IN GUEST BATH, COMFORT LEVEL FLOOR-MOUNTED TOILETS IN BOTH BATHS. 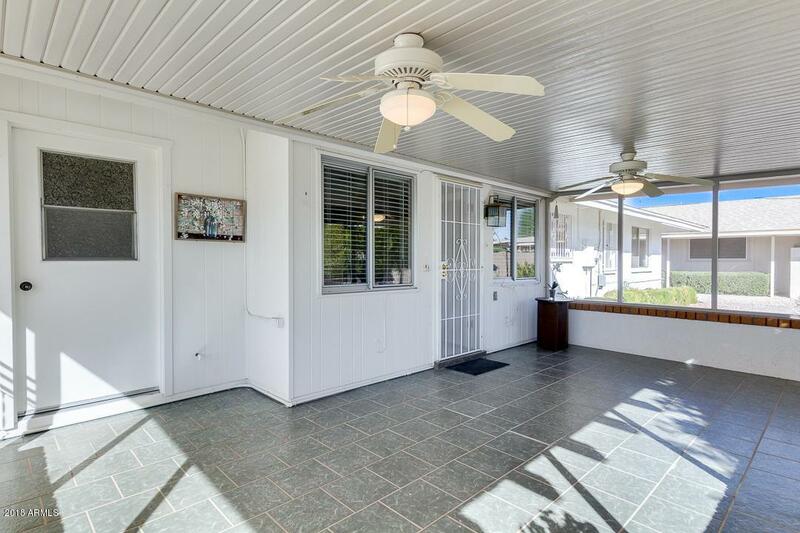 DUAL-PANE WINDOWS IN FRONT, SCREENED TILED ARIZONA ROOM, UPDATED APPLIANCES, FANS AND LIGHTING. TANGELO/TANGERINE & ORANGE TREE. GOLF CART PARKING. DOGGY DOOR. EASY MAINTENANCE FRONT AND BACK YARDS. GREAT CURB APPEAL.